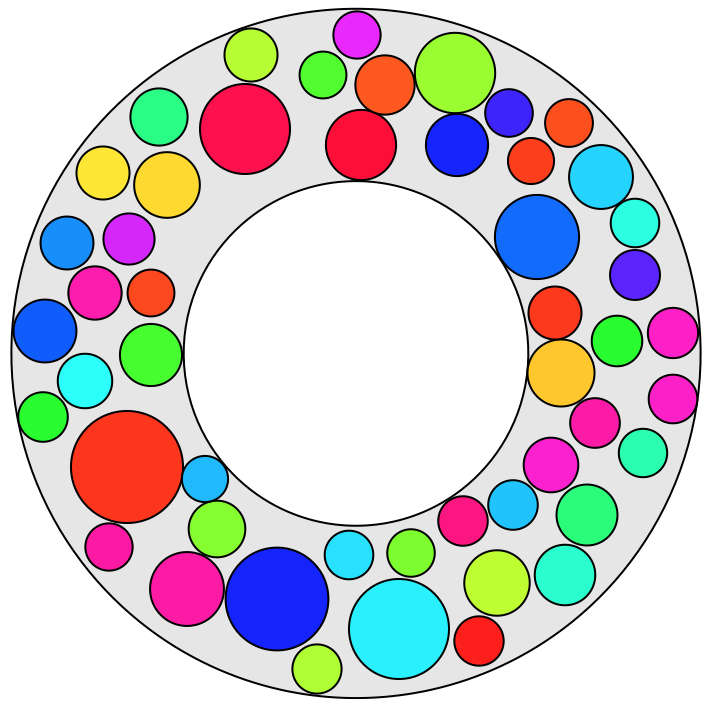 I can produce (pseudo)randomly distributed circles inside an annulus. I have two questions. The first is a ridiculous one: How can we modify the color (e.g. Red) of the DiscretizeGraphics output. The second one is not a tricky one. I want the circles to have random radius. Any ideas of how can I achieve that? Far from efficient, but we can adapt the Neat Example from the RegionDisjoint ref page. Note that a non-uniform distribution of radii would probably speed things up. Not the answer you're looking for? Browse other questions tagged plotting graphics discretization or ask your own question. 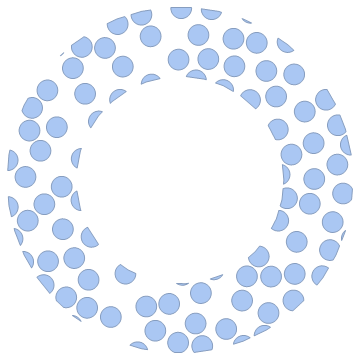 how to generate random convex quadrilaterals using circles (actually inscribed within circles)?